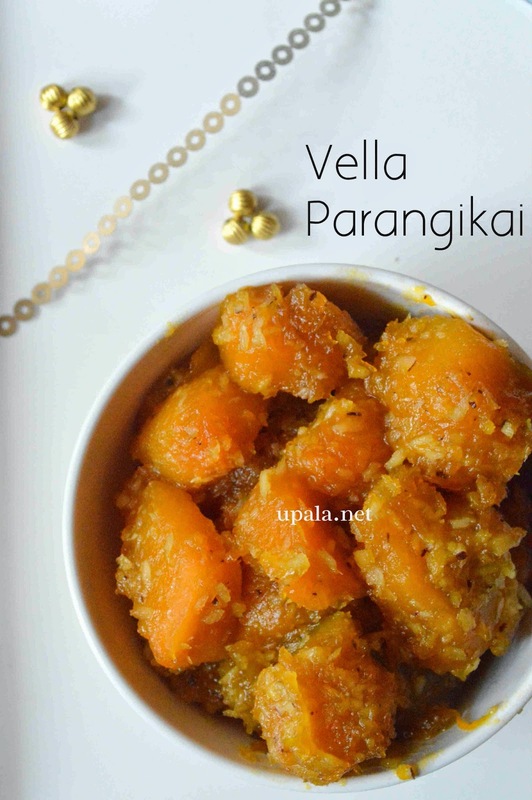 Vella Parangikai is a tasty dessert made with Yellow pumpkin and Jaggery. This is a traditional recipe which can be prepared easily. 1) Remove the seeds and thread part from Yellow pumpkin then peel the outer skin. Chop them as cubes. 2) Now add water to pumpkin and boil till the Pumpkin gets cooked but should not turn mushy. 3) Drain the water from Pumpkin and keep aside. 4) Add water to jaggery and heat it in a kadai/Pan. After jaggery gets dissolved completely, strain to remove impurities. 5) Heat this strained jaggery syrup in a kadai/Pan to prepare syrup. No worries about checking the syrup (paagu) consistency or strings. Only thing , is that jaggery should melt completely and become a syrup. 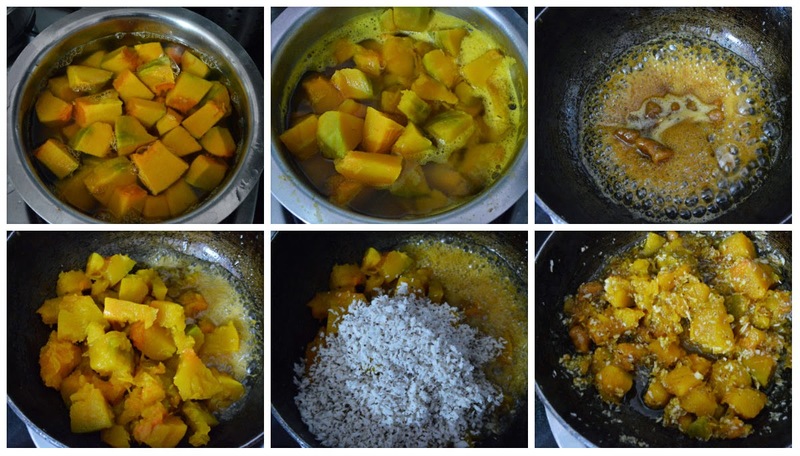 6) Add the cooked Parangikai/Yellow pumpkin, Grated coconut and Cardamom powder to Jaggery syrup, mix well. Leave it to cook for 5 mins and switch off the flame. Tasty Vella parangikai is ready.